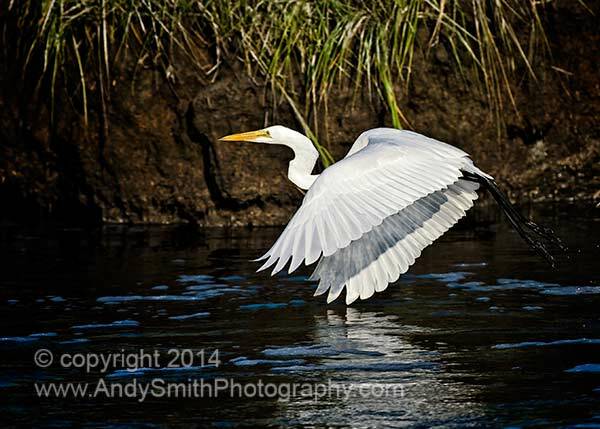 This Great Egret, Ardea alba, is flying across a channel in the marsh at sunset, hence the soft light. This particular afternoon at Forsythe National Wildlife Refuge in New Jersey, the sunset matched the outward flow of the water into low tide. The outlet coming from the impoundment into the salt marsh was teeming with fish and numerous species of birds providing perfect conditions for photographers.